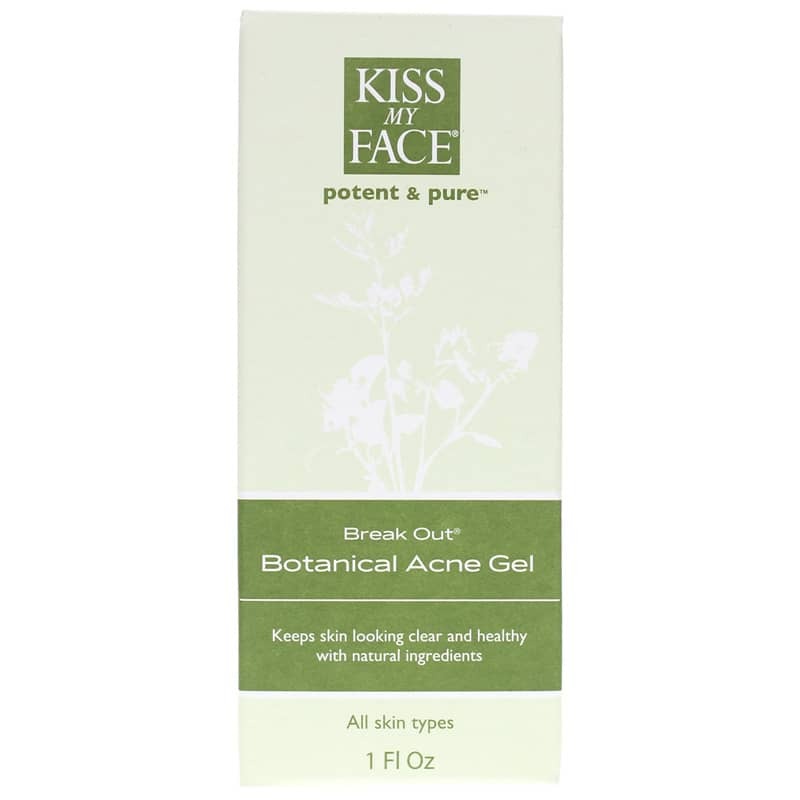 Breakout Botanical Acne Gel by Kiss My Face is a natural acne product that is great for diminishing and controlling skin breakouts, redness, and irritation. 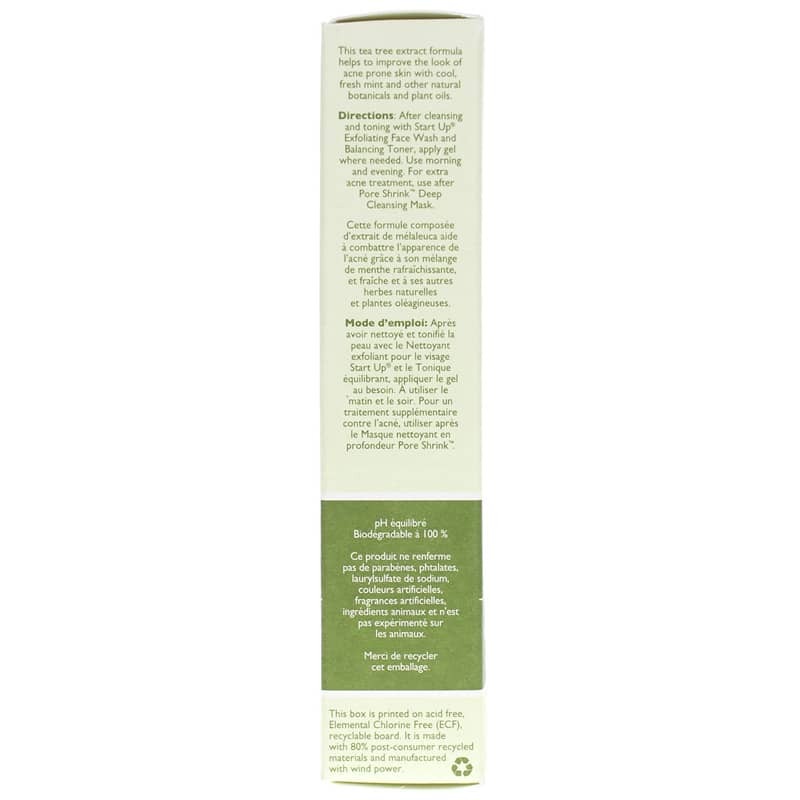 This tea tree extract formula helps to improve the look of acne prone skin with cool, fresh organic mint and other natural and certified organic botanicals and plant oils. Tea Tree Oil controls production of sebaceous oils, disinfects, and neutralizes bacteria. Cool, fresh, organic Mint soothes and stimulates skin. 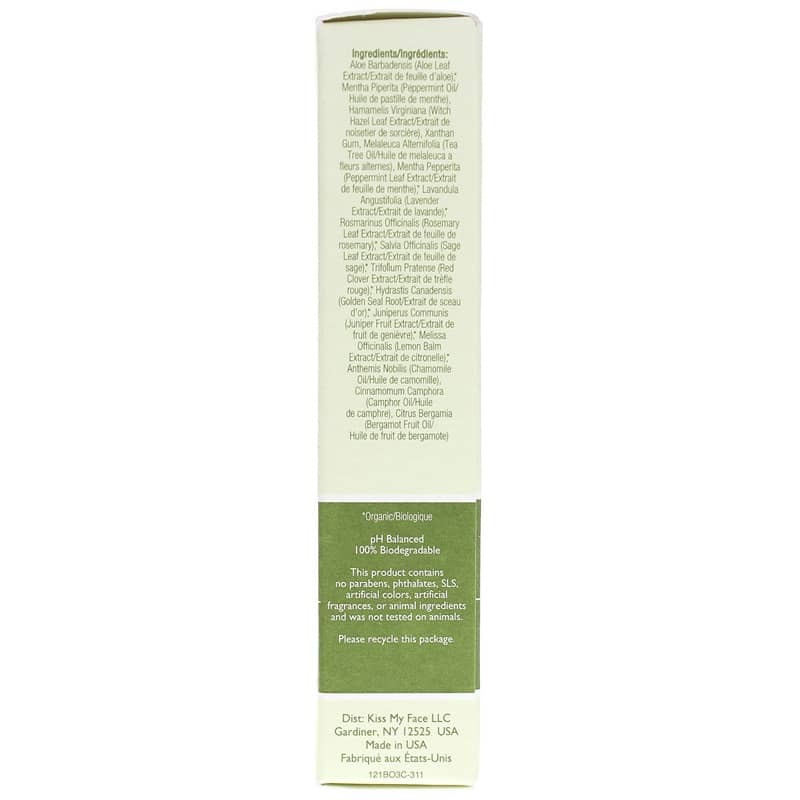 The combination of the two leaves your skin feeling fresh, clean, clear, smooth, and soothed. Breakout Organic Botanical Acne Gel is part of the Kiss My Face Potent and Pure facial care system, which is formulated with the highest quality and most effective ingredients that nature has to offer. Kiss My Face uses only the most potent and pure extracts and organic or wildcrafted botanicals in abundant concentrations. The Potent and Pure facial care system was created by combining the latest scientific research with beneficial botanicals, vitamins, extracts and minerals that are time tested and true. These are among the cleanest products available, great for sensitive skin and free of ingredients that clog pores. Aloe Barbadensis (Aloe Leaf Extract/Extrait de feuille d'aloe)*, Mentha Piperita (Peppermint Oil/ Huile de menthe poivree), Hamamelis Virginiana (Witch Hazel Leaf Extract/Extrait de Hamamelis), Xanthan Gum, Melaleuca Alternifolia (Tea Tree Oil/Huile de feuilles de théier), Mentha Pepperita (Peppermint Leaf Extract/Extrait de feuille de menthe poivrée)*, Lavandula Angustifolia (Lavender Extract/Extrait de lavande)*, Rosmarinus Officinalis (Rosemary Leaf Extract/Extrait de feuille de rosmarin)*, Salvia Officinalis (Sage Leaf Extract/ Extrait de feuille de sauge)*, Trifolium Pratense (Red Clover Extract/Extrait de trifle rouge)*, Hydrastis Canadensis (Golden Seal Root/Extrait de goldenseal)*, Juniperus Communis (Juniper Fruit Extract/ Extrait de fruit de genievre)*, Melissa Officinalis (Lemon Balm Extract/ Extrait de baume de citron)*, Anthemis Nobilis (Chamomile Oil/ Huile de camomille), Cinnamomum Camphora (Camphor Oil/Huile de camphre), Citrus Bergamia (Bergamot Fruit Oil/Huile de fruit de bergamote). After cleansing and toning, apply gel where needed. Use morning and evening.